The DSS in machine learning provides the minimum training needed to acquire the basics of AI and machine learning, a specialization which is in high demand. This training differs from the courses in data science at the undergraduate and graduate level which allows the student to deepen their knowledge of machine learning and artificial intelligence. 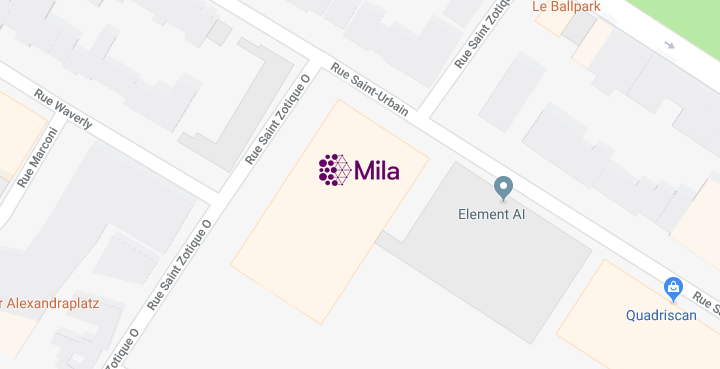 The student will benefit from the links existing between MILA (Institut Québécois de Artificial Intelligence) and private and public organizations that seek to incorporate these new technologies into their products and services, as well as the expertise of MILA researchers in this area, who will supervise the internships. Complete the online MILA application form. We will send a message acknowledging that we have received the application. Complete an application to University of Montreal’s. Send some accompanying original documents by snail mail. The DIRO department will contact you regarding the decision for your application. If you were accepted, start the student permit / visa process as soon as possible (unless you are a Canadian citizen or permanent resident). If you still have questions, you can reach Linda Peinthière at: 1 514 343-6111 ext. 7472.